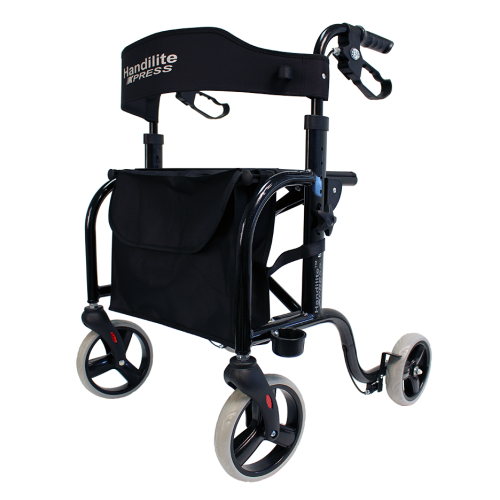 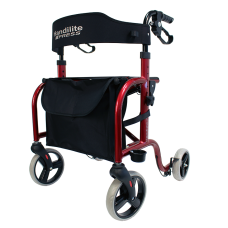 Light weight side frame folding aluminum walker complete with 8" front casters and 7" rear casters. 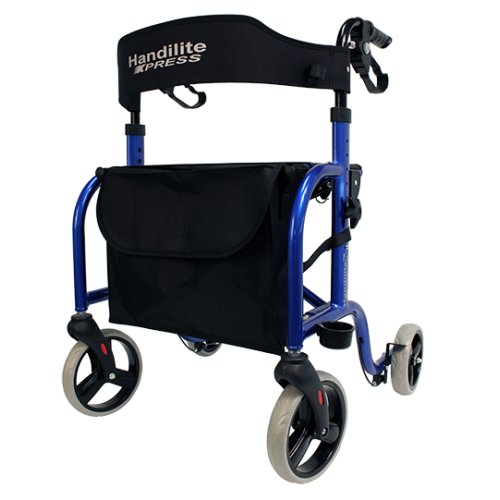 Internal brakes, seat sling, folding cloth bag. 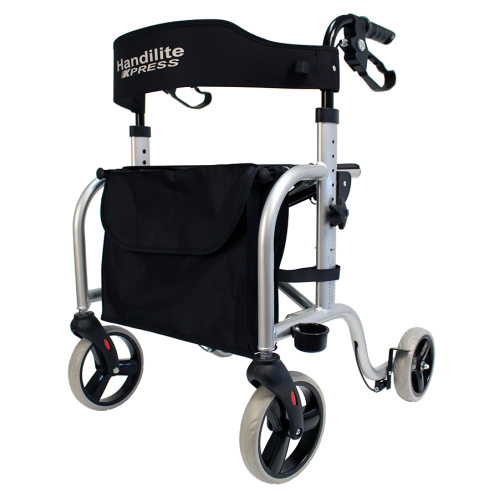 - Seat height: LR- 19" | MR- 21"
- Seat width: 17 ¾"
- Width between handle bars: 18¾"
- Minimum handle height: LR - 30½" | MR - 32½"
- Maximum handle height: LR - 35½" | 37½"
- Width between rear wheels: 18"
Seat Height --- Please Select --- 19" 22"